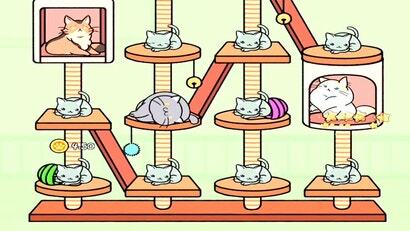 In Cat Condo, a free idle clicker game now available on Google Play and iTunes, you begin with one cat. Then you get another cat. Combining those cats gets you another cat. Tapping the screen gets you more cats. Not playing at all gets you more cats. The cats never stop.